Does knowledge come from ‘scientific’ reasoning only? Prof. G.H.Hardy of Cambridge University went to Putney by a taxi to see off his student who was ill. While they were chatting, Hardy mentioned the number of the taxi he came – 1729 – which seemed to be a dull one to him. "No," the student suddenly replied, "it is a very interesting number; it is the smallest number expressible as the sum of two cubes in two different ways." Hardy was impressed and it later came to be known in the mathematical world as the Hardy-Ramanujan number. Professor G.H. Hardy was one of the greatest mathematicians in the 20th century. But who was that extraordinary student that made him amazed? It was he who had each integer as his personal friend, the man who knew infinity! - Srinivasa Ramanujan. Srinivasa Ramanujan was a prestigious Indian mathematician. A film based on his life story was released in 2015 called 'The man who knew infinity. '(The movie was based on a more interesting book on him by the same name written by Robert Kanigel.) It was 130 years this year since the birth of Ramanujan on December 22, 1887. According to the movie, Srinivasa Ramanujan grew up in Madras in British India in utmost poverty. He went to the village Kovil and stayed there for long hours doing his own mathematical research. He was jobless. He went everywhere in Madras showing his books to everyone in order to find a job and to find a person who could understand his work. But he found neither. Everyone asked for recommendations. Then, he met Mr. Narayana, who was fascinated by Ramanujan's work and offered Ramanujan his own job as a clerk in the accounts department of his office. Narayana noticed that Ramanujan never used the abacus (At that time the abacus was the calculating machine). His mental calculations were faster than the abacus. Mr. Narayana's idea was that Ramanujan should show his work to British mathematicians. Therefore Ramanujan wrote to H.F. Baker and G.H. Hardy. H.F. Baker neglected the letter. One day, while Prof. Hardy was in his room at Trinity College, University of Cambridge, his servant came to him with a letter which had come from very far. Hardy initially thought the letter was a hoax as it was from a Hindu clerk worked in an accounts department, but had given meanings to negative values of the gamma function. Hardy was sure it was from a fellow mathematician, J.E. Littlewood. Hardy was flabbergasted when Littlewood rejected this and read the letter carefully as it was full of theorems. Some are known and some are new. He concluded that this should be real because no one would have had the imagination to create such complex patterns otherwise. Prof. Littlewood also read this letter and was amazed. However no proofs were included. Thereafter they invited Ramanujan to Cambridge as a student in spite of the objections of some other lecturers. Ramanujan who was married soon after he had the job refused to go to England at first since Brahmins were forbidden to cross the sea by Hindu tradition (Ramanujan was a Brahmin). Later he changed his mind and went to England. In England he had a hard time being a vegetarian. In Cambridge, Hardy and Ramanujan started their cooperative work. Hardy also had a hard time persuading Ramanujan that proofs are necessary. What Hardy needed were proofs. What Ramanujan couldn't understand was why western mathematicians were wasting their time for step by step deductions while the answer is already in hand. What he wanted was to publish his theorems. This clash of opinions was seen throughout their journey. At last, Hardy shared the burden of proving Ramanujan's work and they published some papers together. While these developments were taking place in the calm atmosphere of Cambridge, violence flared up in distant parts of Europe. The World War I, as we name it now was taking shape. Not a single person could escape the impact of the war. Many people of Cambridge went to the front line. Professor Littlewood was also among them. Professor Hardy was involved in the peace movement by Bertrand Russell. Ramanujan had a hard time too. Being a vegetarian in England at that time was necessarily a difficult in a time of war. The film depicts a bombardment on Cambridge also. At that time Hardy revealed to Ramanujan that Littlewood had found that Ramanujan's prime number conjecture to be false. Hardy used this moment to persuade Ramanujan that proofs were essential. He said intuition only does not give a proper picture. Ramanujan was in for a shock when he heard all this. However after that he acquired some rigor in his work. Next time Ramanujan conjectured a new statement on partition function. Hardy and Ramanujan studied it further and published. Ramanujan's health was not good at all. He had a severe bout of tuberculosis. But he did not stop his work. Hardy thought Ramanujan should be offered the fellowship of Trinity College of Cambridge. But the proposal was refused because he was an Indian. Then Hardy requested the Royal Society to offer Ramanujan a fellowship. They accepted it and Ramanujan became a fellow of RS (as the second Indian Fellow). Thereafter Trinity College offered him a fellowship too. Ramanujan had the last laugh. He was the first Indian fellow of Trinity College. What amazed Prof. Hardy the most was how Ramanujan do all these things? Though he had put it to intuition he felt that mere intuition is not enough for such complex mathematical theorems. Ramanujan's answer for this question was something Hardy never expected. Ramanujan had acquired knowledge through Goddess Namagiri (a version of Goddess Kali). Namagiri would speak to him and offer him equations when he was in bed or saying prayers, Ramanujan would say. She was the source of knowledge in Ramanujan. It was very difficult to Hardy to accept this as an atheist. "An equation for me has no meaning," Ramanujan once said, "unless it expresses a thought of God." Finally Ramanujan went back to India, where his sickness became severe and the angel of death solved the equation of his life too early. Ramanujan's final notebook was found later and its calculations were used to analyze the characteristics of black holes later. My above discription of Ramanujan is based on the movie. There is a little tension between the film and the actual life story. 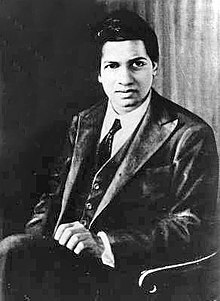 For example, Ramanujan had published some of his work in the Indian Mathematics Journal and had some appraisers even before he went to Britain. The way he learned mathematics in his early life was not depicted in the film. The film though contains many famous sayings of Ramanujan, Russel and Hardy. For instance Hardy once told Russell: "If I could prove by logic that you would die in five minutes, I should be sorry you were going to die, but my sorrow would be very much mitigated by the pleasure in the proof". However, the story of Ramanujan urges us to think otherwise. This great mathematician, Ramanujan, (uneducated by common educational standards) asks all those educated people to respect folk wisdom. Summing up, I recall a story of another great scientific mind in the last century - Niels Bohr, one of the scientists who initiated quantum mechanics. He usually kept a horse shoe on his table while teaching. The Horseshoe in western culture is a symbol of luck. A student asked, "Sir, Do educated people like you also believe in these horse shoe things?" Bohr retorted at once, "I don't think the horseshoe will be concerned whether you believe it or not."